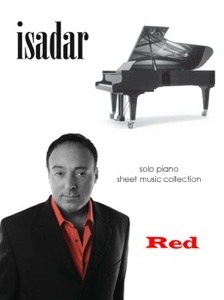 In Search For the Meaning of Christmas is the companion songbook to Isadar’s 1999 solo piano release by the same name. Meticulously transcribed note-for-note by David Shenton of New York Music Publishing, the music is faithful to the recording in every way (except for the pianist - YOU!). The scores are clear, concise, and easy to read, and also include chord indications for improvisation or the use of instruments other than or in addition to the piano. 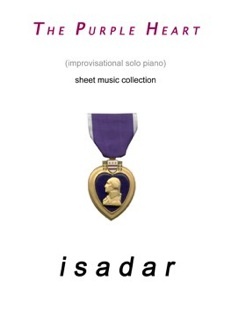 Isadar’s arrangements cover a whole range of emotions, from very dark and somber to joyful and buoyant. 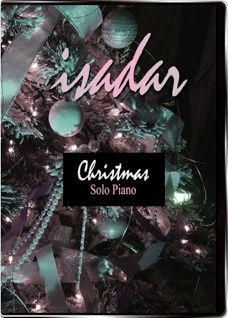 All of the pieces from the CD are here, including Isadar’s homage to Liz Story and her beautiful version of “Greensleeves.” My personal favorites of the eleven songs in this book are the bright and cheerful “Bring A Torch,” “What Child Is This?”, “Greensleeves,” the darkly gorgeous “The Coventry Carol,” and “Sing We Now of Christmas.” Other titles that I really like are “Children Go Where I Send Thee/The Holly and the Ivy,” “Star of Wonder”(We Three Kings), “Carol of the Bells,” and the effervescent “Three Ships.” “Silent” (Silent Night) and “Midnight” (It Came Upon a Midnight Clear) are a bit too dark for my own holiday tastes, but are interesting and very personal arrangements. 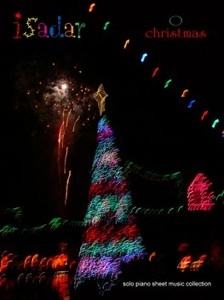 This book will make a great addition to your holiday sheet music collection and is available from isadar.com and amazon.com.